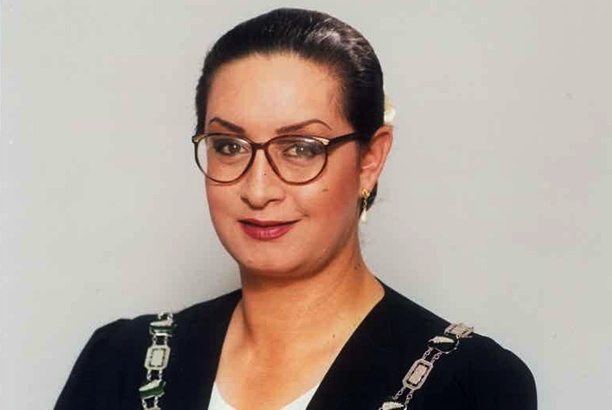 Georgina Beyer (Te Āti Awa, Ngāti Mutunga, Ngāti Raukawa and Ngāti Porou) became the Labour Party’s candidate for the Wairarapa electorate in the 1999 New Zealand General Election, and won the electorate by a majority of 3033 votes. Beyer became the world’s first transgender member of parliament when the Labour government was sworn in on 10 December 1999. Beyer had earlier served as Mayor of the Carterton District between 1995 and 2000, making her the first transgender woman elected to a Mayoral office. Her wins were considered a surprise, as Wairarapa was typically a conservative and rural centre-right-voting electorate. In her maiden speech Beyer acknowledged her status as the first transgender MP and New Zealand’s role as a world leader, including being the first country where women won the right to vote. She aspired for New Zealand to continue to lead the way, particularly in relation to social policy and human rights, including LGBT rights, which were a strong focus for her during her next eight years in Parliament. We have 37 biographies, 6 articles, related to Georgina Beyer becomes first transgender woman elected to Parliament in the world .